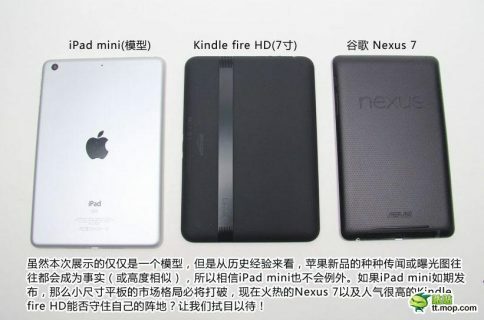 As an avid reader of this blog, you must have read all there is about purported iPad mini cases, the device’s rumored shrunken down shell and other leaked parts. You’ve also seen mockups depicting its skinner side bezels and thin design and marveled at the nicely done interactive three-dimensional model. 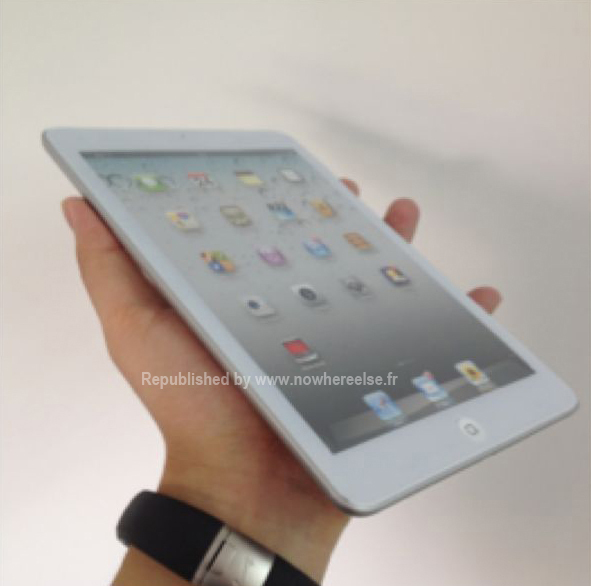 This one, just like the previous set of renderings of the iPhone 5 in hand, comes by way of French blog NowhereElse. 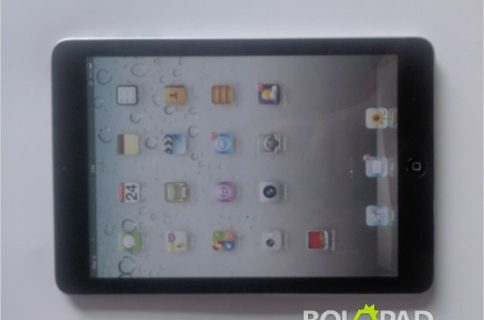 Let’s be clear here, this isn’t a leaked production chassis of the iPad mini. 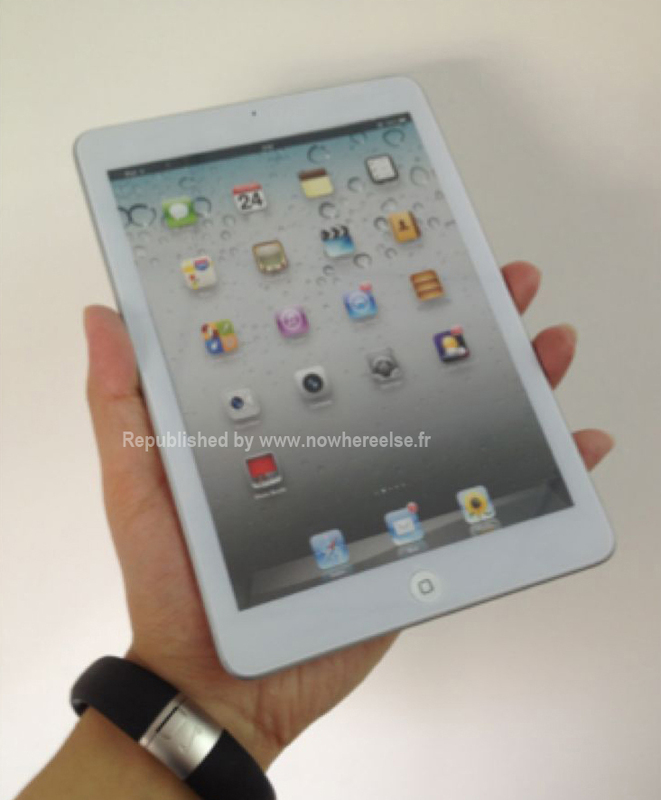 Instead, what you’re looking at is a dummy, like today’s iPhone 5 dummy published by iMore. It’s probably created by a case vendor, based on the rumors and perhaps some insider knowledge. NowhereElse is simply re-posting the shots. 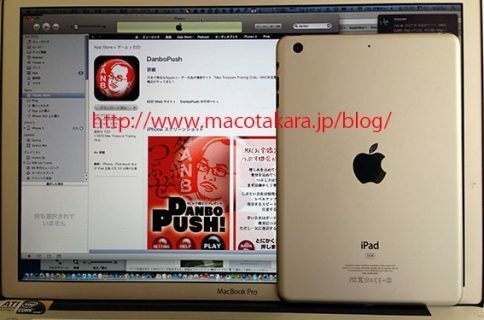 Notice the skinnier side bezels. What, no change in the display’s aspect ratio? 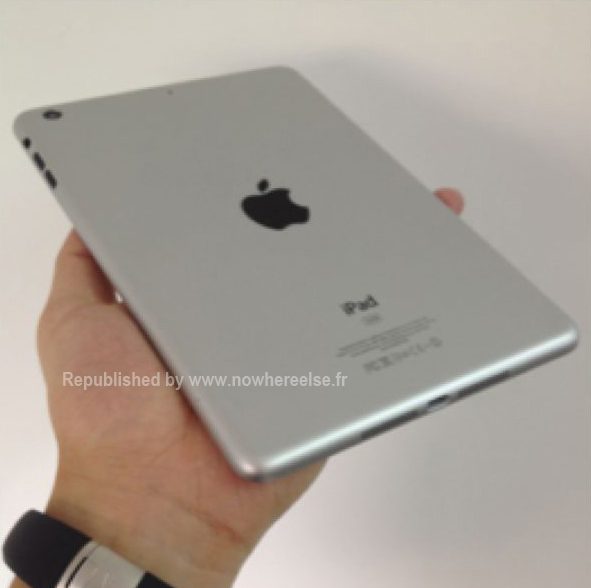 Call me crazy, but the side bezels seem too skinny. I suspect that sausage-fingered users could accidentally tap the touchscreen when gripping the device in their hand. Of course, I could be wrong as well because the narrower bezels might provide for a more comfortable grip as the device is smaller and lighter. 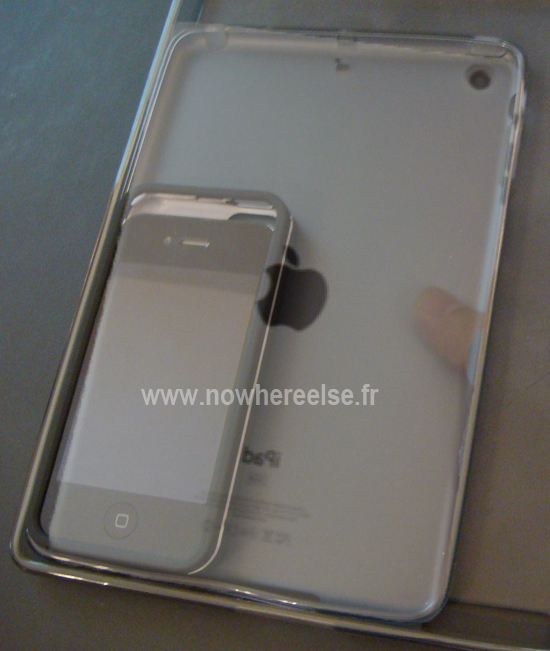 Check out the final shot depicting how a 7.85-inch iPad mini would compare to the iPhone 4S. Just don’t call it a blown up iPod touch, will ya’?